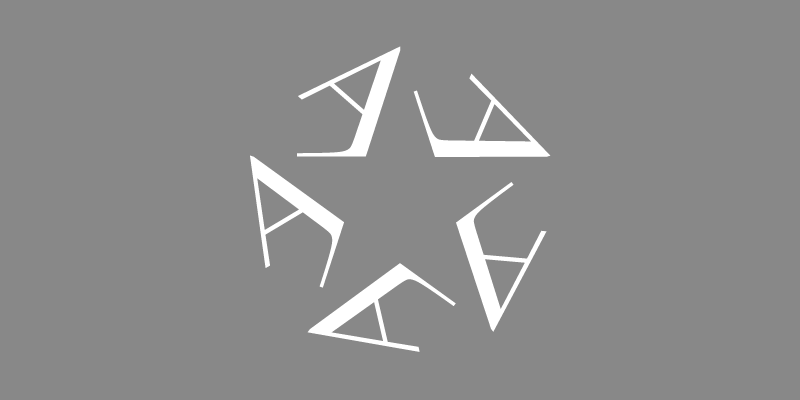 The sport of cheerleading has changed over the last couple of decades, moving away from its origins as a support system for basketball and football to competition so athletically challenging that some teams exist as competition-only squads. AISD schools compete nationally against other squads but primary duties are still to stalk the sidelines with megaphones, poms, signs and an assortment of creative cheers. Picking up this skill is often tackled early, which explains why campuses like Martin High School often hold cheer clinics during the summer. This year’s Martin Cheer Clinic ran all day on a Saturday inside the Multipurpose Activity Center with more than 100 girls ages 4 to 13. Martin’s varsity, junior varsity and freshman squads handled the throng of girls who learned specific cheers and also how to jump and flip and the array of techniques (or cheer motions) that emphasize hand motions, arm placement and overall proper technique. McCurdy said the clinic is so popular that many of the girls are repeat attendees, some coming since they were in kindergarten. Participants can do full or half days and are awarded certificates and awards after completion. Some of the attendees also get specific, individual awards for showing improvement, spirit and tenacity. 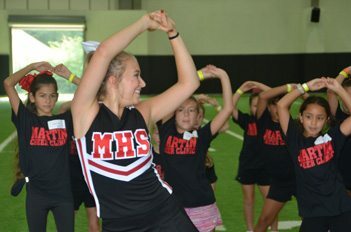 Pictured: Martin High School junior Kate J. leads a group of young girls during the team’s annual cheer clinic.